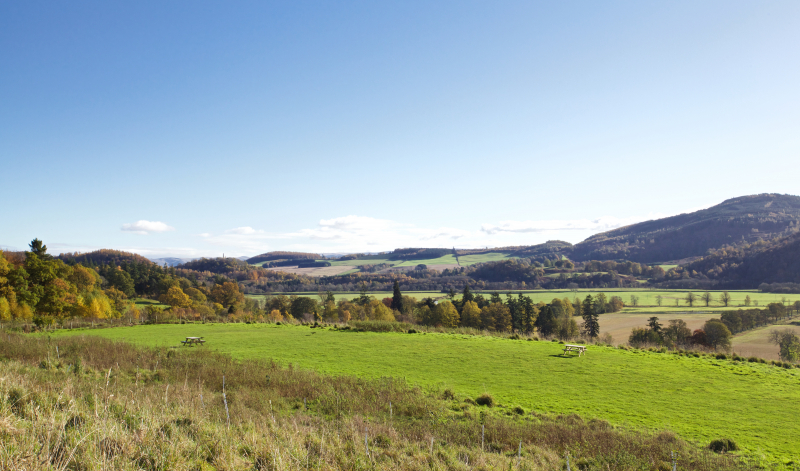 We’re delighted to be the official campsite for the 2019 Scottish 6 Day orienteering event. 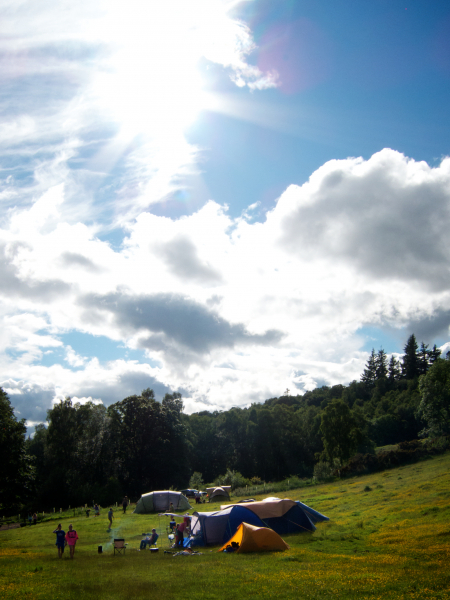 Here you’ll find beautiful camping in nature with a few Scottish twists. Alongside the other 6 Days Orienteers, if you are lucky you might see some red squirrels or deer. Besides all the facilities you’d expect like piping hot showers, and plenty toilets, we encourage carefully managed camp fires (fire wood available onsite for a small charge). 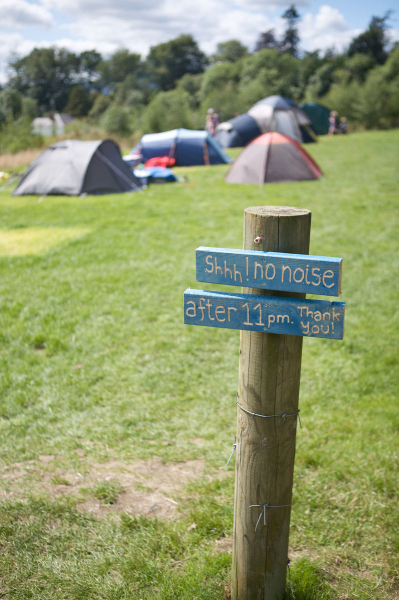 To ensure everyone enjoys a good sleep, quiet time is from 11pm – 7am. 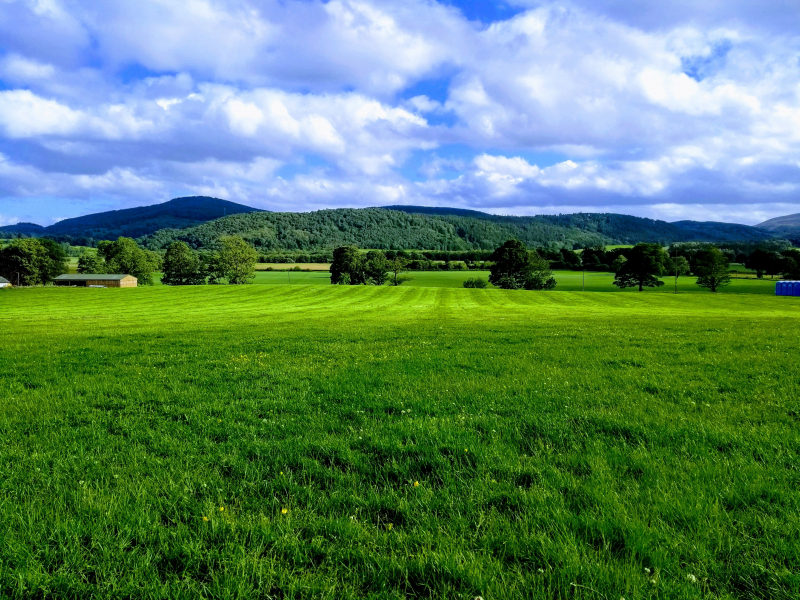 The High Meadow (any tent size) and Birch Woods (small tents only) are car free, though we have a drop off and pick up zone available to make life a little easier. For the couple of minute walk up from the café, farm shop and main showers and toilets you are rewarded with some spectacular views. You’ll also find a toilet block and wash up area, plus a turf-roofed roundhouse in case it rains (never!). 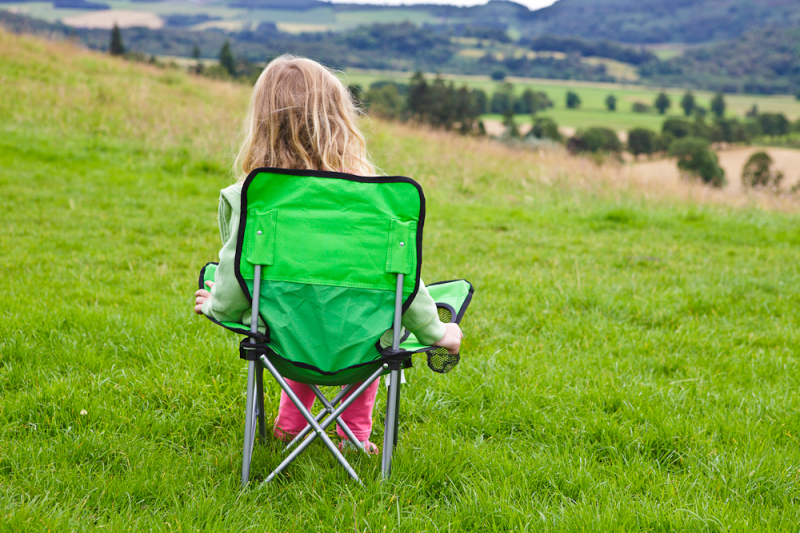 The Summer Camping Field offers the option of tent, campervan or caravan camping, next to your vehicle. This area has its own toilets and drinking water and you’re just a couple minutes’ walk from the main facilities. 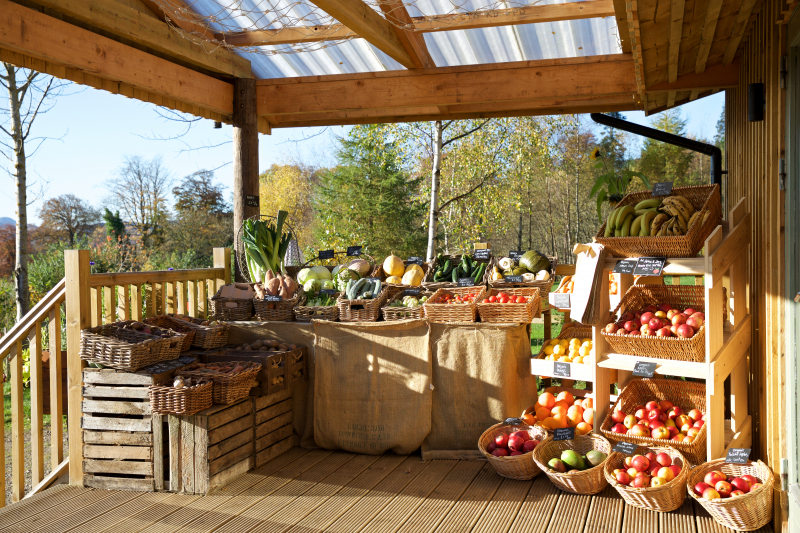 Our Farm Shop (open 7 days a week) stocks a great variety of tasty local and organic produce from local freshly baked sourdough bread and pastries, to ice cream, to a big selection of fresh fruit, veg and fruit grown in our own field by our friends at Tomnah’a Market Garden. Don’t feel like cooking? The Tea Garden, open daily (8am – 5pm), has some amazing delicious delights. The ever-changing menu has a great range of soups, salads and of course cake! Need a free from dish? There’s always vegan, vegetarian, dairy & gluten free options available. Got some down time? Why not try our number one rated mountain bike trails centre! There’s something for everyone, with over 16km of graded trails and a skills park to try out. Bike rental is available onsite, you can pre-book here.